This week, two tiny 25-week twin baby girls were born to friends of ours. Only 1.5 pounds each at birth. I'm glad to hear that so far they are doing well, but this doesn't stop the worry. I felt compelled to show our friends how much we are thinking of them and their two tiny girls in the best way I know how. 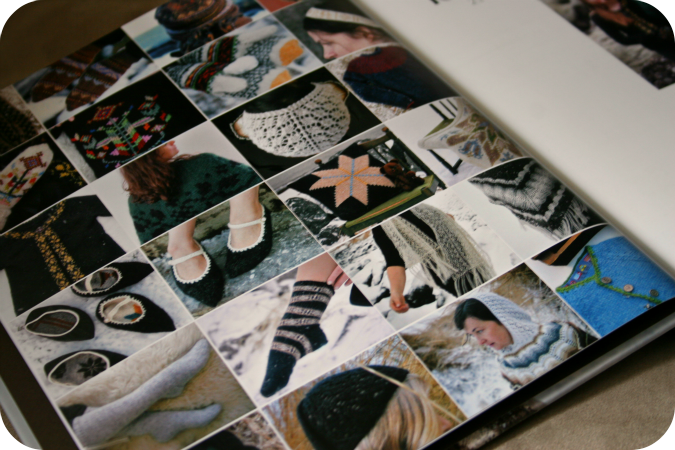 Handknits. 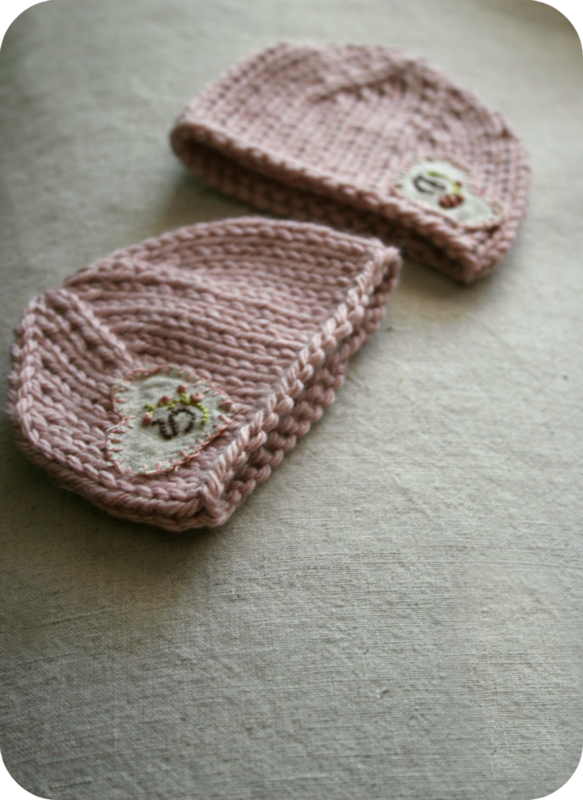 I knit up these little preemie hats to help keep them warm in the hospital. 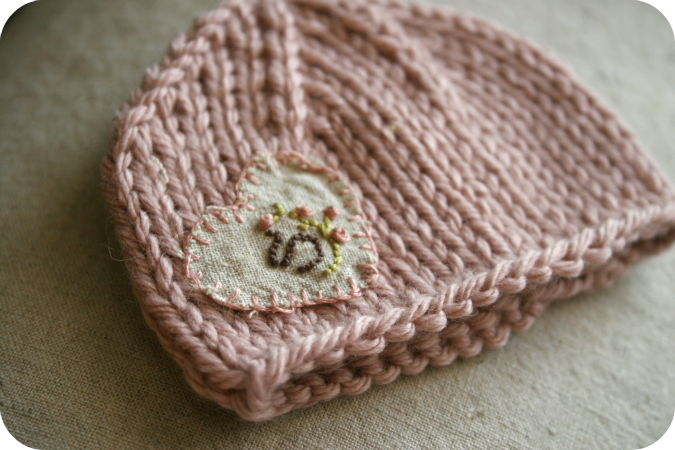 Each has their initial embroidered on a fabric heart and appliqued onto the knitted fabric. Each hat only took me... about 'a minute' to make, which further impressed upon my mind how truly tiny these little babies really are. I hope that these little hats bring this poor family a bit of comfort in what I am only imagining is an extremely stressful and emotional time. 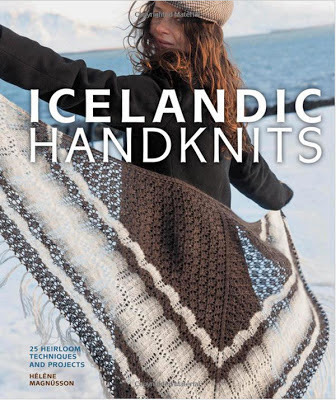 I am so happy to be the last stop on the Icelandic Handknits blog tour and to be able to share this beautiful book with all of you. Icelandic Handknits is a collection of knitting patterns inspired by handknitted artifacts from the Textile Museum in Iceland. 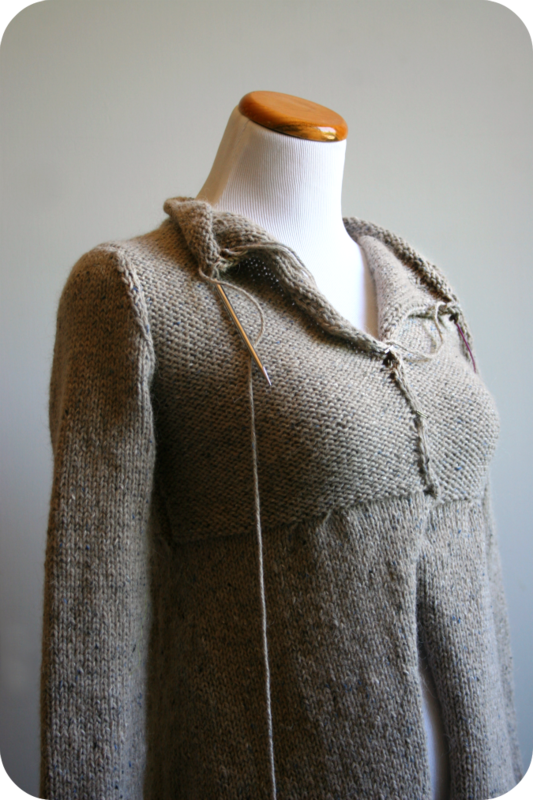 Each piece perfectly represents the rich culture, history, and knitting heritage that Iceland is known for. 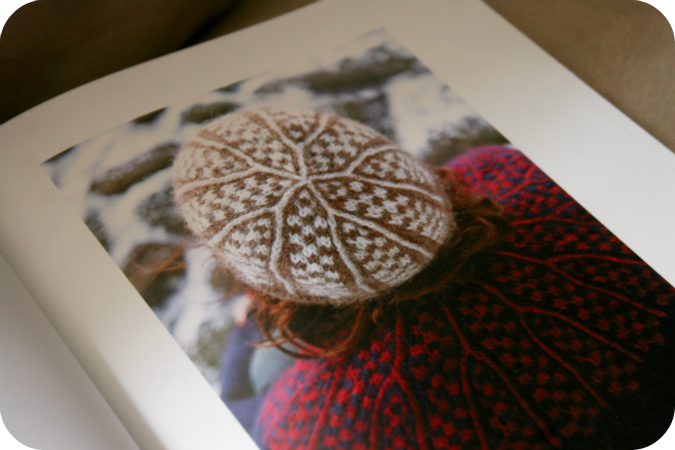 In addition to the patterns, the book contains bits of Icelandic history, a comprehensive section explaining the traditional knitting techniques, and stunning photography that makes me want to hop on a plane headed to Iceland... immediately. ... and the gorgeous floral design on this blanket. 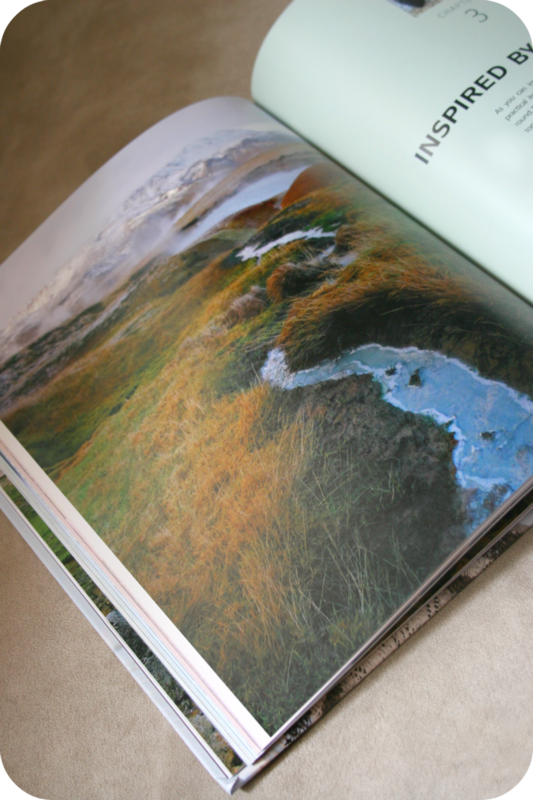 It is a beautiful book indeed. 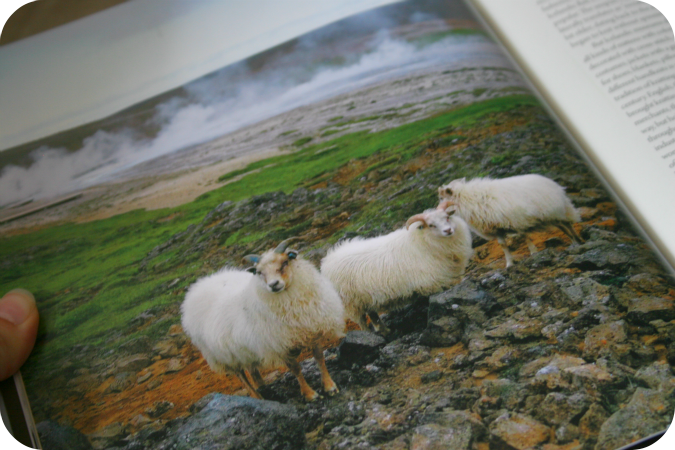 A wonderful look into Iceland and it's knitting culture. 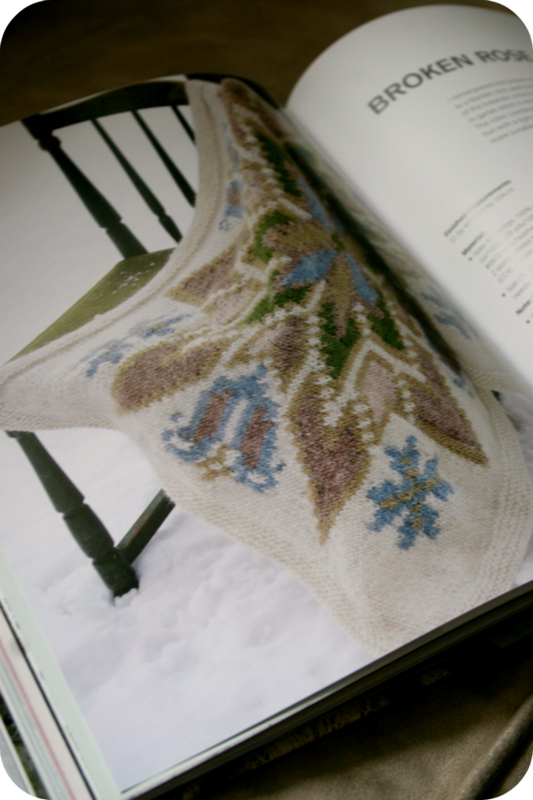 Click HERE to learn more about the author Helene, this book, and Icelandic knitting. Please remember to include your contact information so that I can get in touch if you have been selected as the winner. Only one comment per person please. 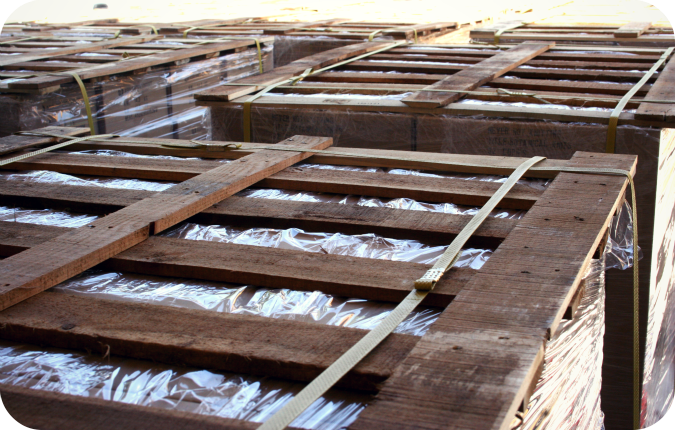 Just yesterday, a big truck pulled up outside of our office and dropped off 10 huge pallets of Botanical Knits books. As I looked at the shipment in its entirety I was super excited of course, but honestly also a bit afraid. "Uh oh.. what have I gotten myself into?" 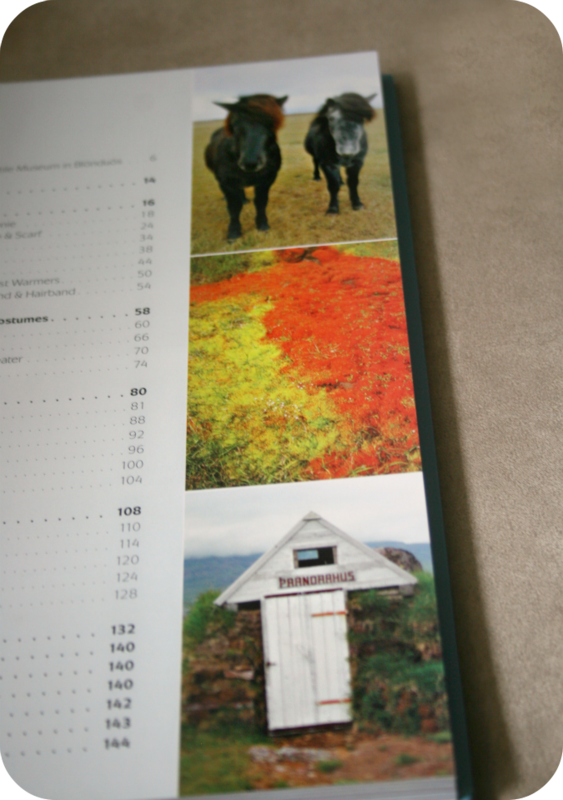 I have never before ordered this quantity of books before, and the sheer amount of them was quite daunting. 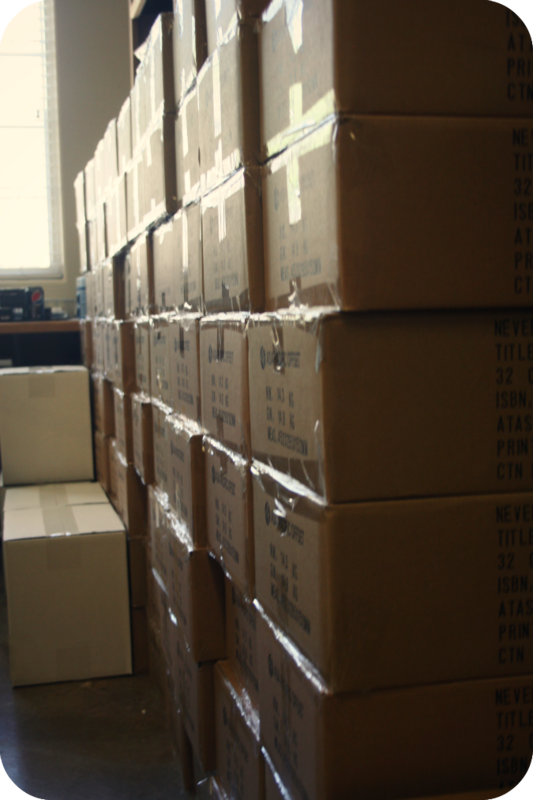 Fortunately within a few hours, with the help of friends and family, we were able to fill up all of the spare corners of our office space and get the entire shipment inside. It's going to take us awhile to package up all of these orders, so I am going to extend the pre-order promotion a little while longer. 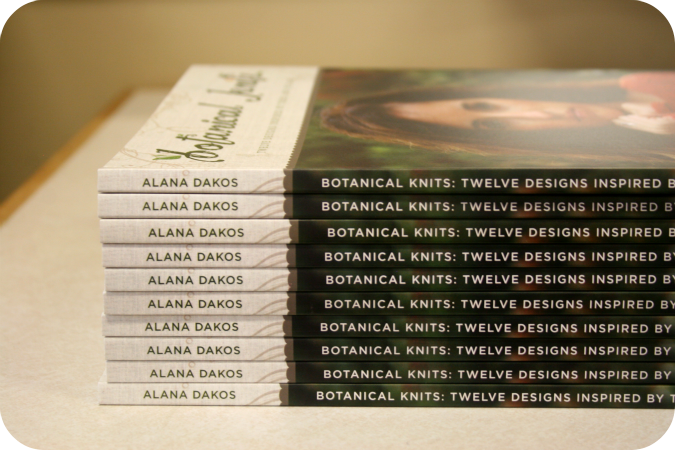 Everyone who places their order through May 15th will receive the digital version of Botanical Knits along with the special pre-order extras.